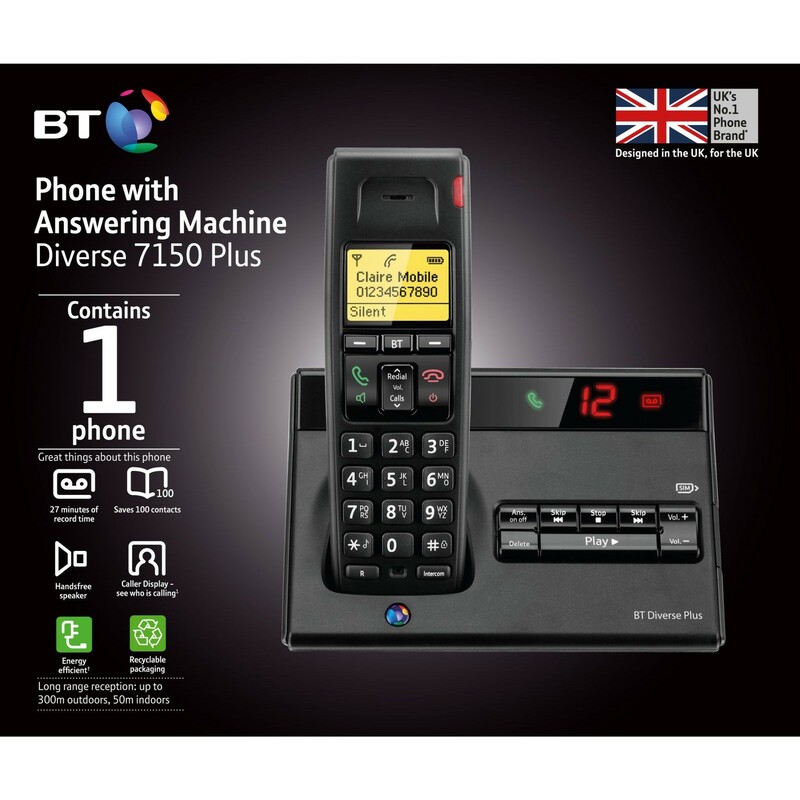 Easy to use and packed full of innovative features to help simplify call management and more, the BT Diverse 7150 Plus is a stylish cordless phone equipped with a digital answering machine. 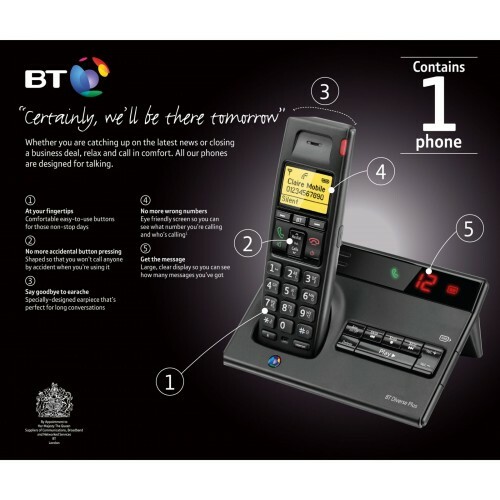 Ideal for use in either the home or the office, the phone offers excellent sound quality, compatibility with DECT repeaters and an integrated SIM card reader and writer. 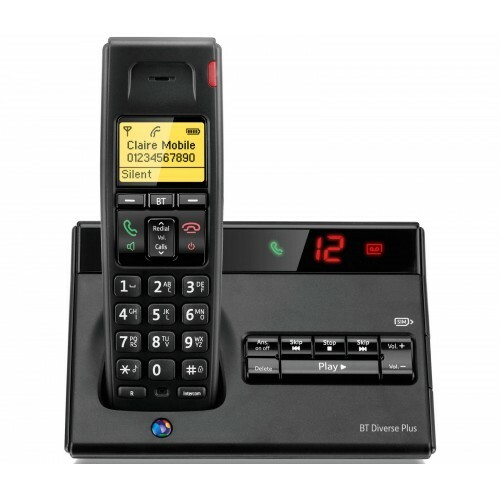 The base station sports an answering machine with a recording time of up to 27 minutes, and you can play back your messages from either the base station or any handset registered to the system. A visual indicator lets you know when you have a new message waiting, while a user-friendly set of controls also allows you to record your own outgoing messages. The answering machine also features remote operation, allowing you to securely access your messages from an external phone. Instead of having to manually enter all of your phone numbers from scratch, you can use the SIM card reader in the base to copy over all of your contacts from your mobile phone. Providing a write function as well, you can also copy over numbers to your mobile, and the phone book provides 100 memories for your contacts. 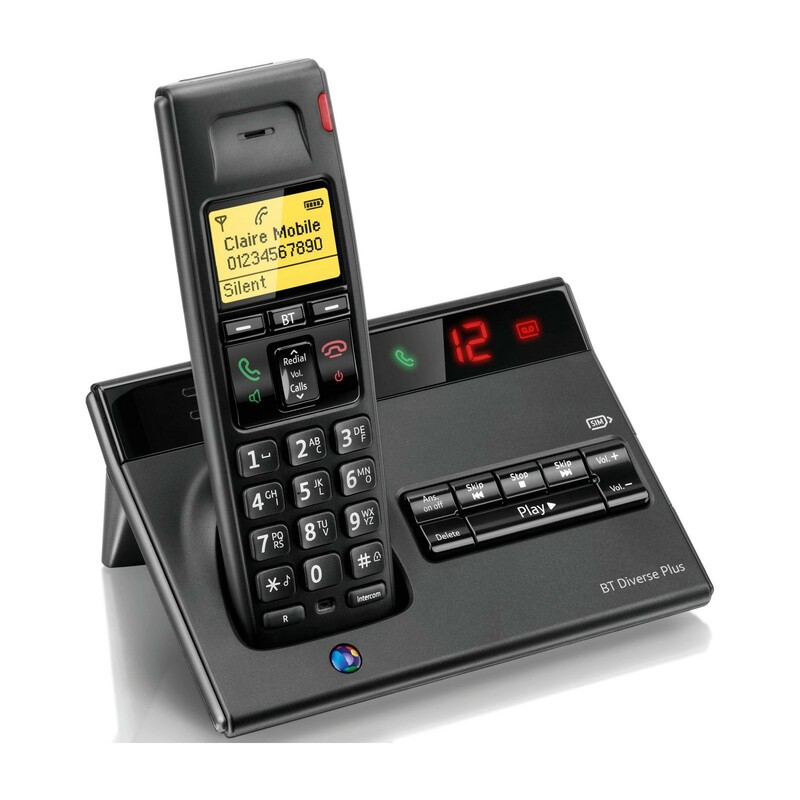 The BT Diverse 7150 Plus sports both a speakerphone and a headset port affording the comfort of hands-free phone calls, and thanks to DECT cordless technology, you can roam freely around the home or office while taking calls. An indicator will let you know if you're going out or range, while the battery provides up to 12 hours of talk time. 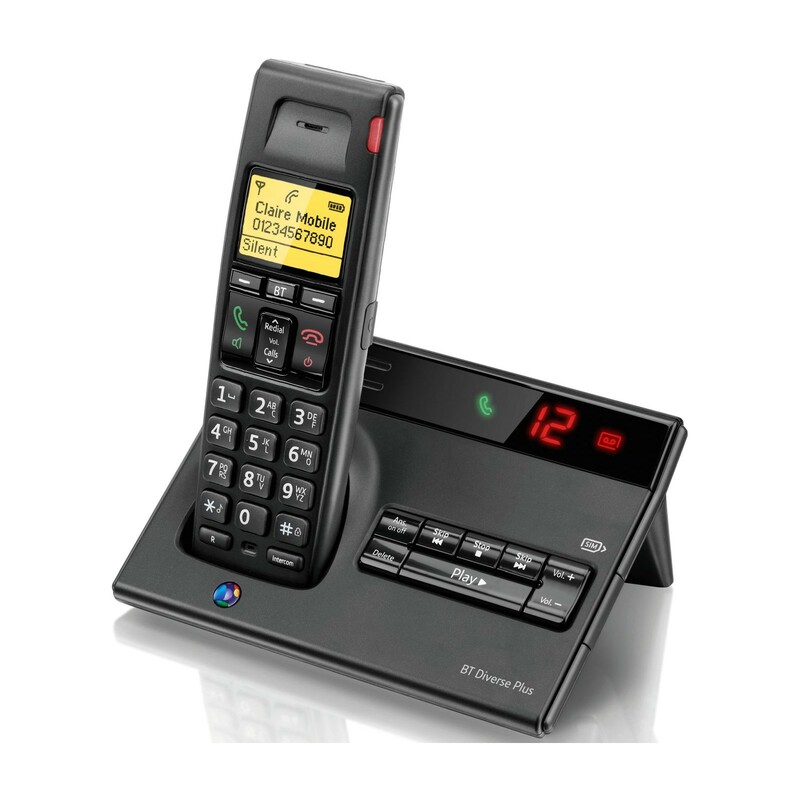 Stylish and modern, the BT Diverse 7150 Plus is a feature-rich cordless phone designed for either home or office use.